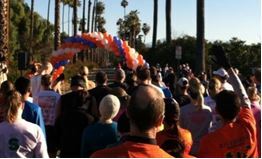 The Riverside Road Runners will host the 2014 Citrus Heritage Half Marathon, 5K and Kids Fun Run on Saturday, January 11, 2014. Enjoy a morning of fitness and take in the scenic views as you walk or run through the orange groves of Riverside. The race will being at Arlington Heights Sports Park at 8:00 a.m. For additional information and to register for the race, please visit citrusheritagerun.com.